What Are the Benefits & Downsides of Using Coconut Oil? Coconut oil supplementation has been gaining popularity. It is a tropical oil made from coconuts that is solid or nearly solid at room temperature. It is also a saturated fat that is very shelf-stable. 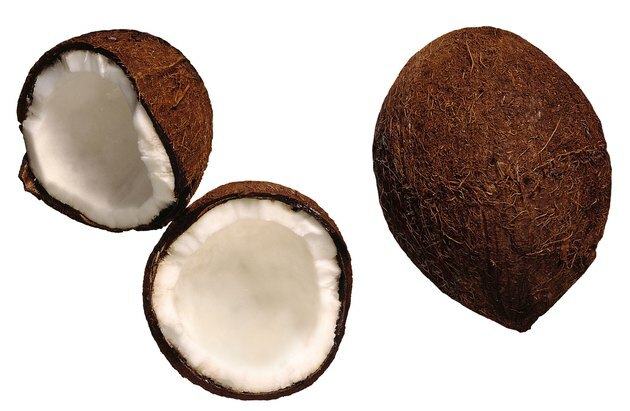 Because of its high saturated fat content, coconut oil was once widely believed to be extremely unhealthy due to adverse affects on cholesterol levels. In recent years, this belief has evolved and many people now believe that coconut oil has multiple benefits for health. The Food and Drug Administration -- FDA -- has not evaluated any of the claims about coconut oil’s health benefits. The primary drawback to coconut oil is its saturated fat content, with 11.8 grams of saturated fat per tablespoon. According to the American Heart Association, saturated fat intake is one of the main dietary causes of high cholesterol. The Association recommends that you limit saturated fats -- including tropical oils like coconut and palm oil -- in order to maintain healthy cholesterol levels and prevent high blood pressure and heart disease. If you consume 2,000 calories per day, your saturated fat intake should be no more than 15 grams. A 1-tablespoon serving of coconut oil comes close to 100 percent of the recommended amount. Another disadvantage to coconut oil consumption is its high caloric density: one gram of fat has nine calories while one gram of protein or carbohydrates has four calories. If you are consuming coconut oil, then you are eating more than twice the calories you could get from equal amounts of healthy foods like fruits, vegetables and lean meats. A great deal of research has been done about coconut oil; however, much of it has been done by coconut product manufacturers. Very few independent, peer-reviewed scientific studies exist that support the findings of sponsored studies. While there is some evidence that coconut oil may confer health benefits, there is equal evidence from well-established and respected independent organizations that excessive intake of saturated fats from tropical oils can have adverse health effects. What Are the Benefits of Cold-Pressed Olive Oil?